Clearway Concentrate is a patented formula which not only kills mould, algae and moss but keeps surfaces free of re-growth for many months, and in certain cases, many years. This improves surface safety and appearance while reducing the frequency of cleaning surfaces of growth, thus cutting retreatment time and costs. Clearway is used on all hard and fabric surfaces and has never been known to cause damage to any surface type. With biodegradability surpassing EU standards, there is a minimal environmental footprint compared to aggressive cleaners such as bleaches and acids, and our packaging is fully recyclable. Clearway Concentrate complies full with the EU Biocidal Products Directive, REACH and has HSE (Health & Safety Executive) Certification. 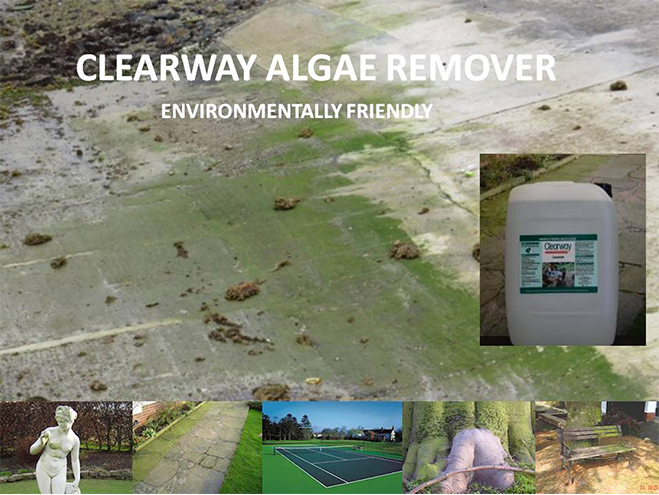 Used extensively by both homeowners and the leading companies within the industrial sector, Clearway Concentrate is the safer, more environmentally friendlier and cost effective way to overcome mould, algae and moss concerns. How do I make up Clearway? Clearway comes in 20 litre containers and should be diluted 1:9 with water (mix 1 litre of clearway with 9 litres of cold water). Can I use my “watering can” to apply Clearway? You can apply Clearway in many ways. The most economical method is using a pump up sprayer (like a weed killer sprayer) give the surface a covering so everything becomes wet. If you do not have a sprayer then use a watering can with a fine rose and wet the surface that way. We have a hose pipe applicator to dilute Clearway using water flow from your garden hose pipe. Will Clearway harm my dogs and cats? Clearway is safe for use when your pets are around but we would always recommend keeping your pets out of the way when you apply Clearway until it’s dry. Will Clearway harm my fish? Care should be taken to avoid excessive over spray into ponds and water courses. A small amount of Clearway will not affect fish or aquatic animals. Can I use Clearway on plastic? Clearway can be used on any hard surface and can be used on fabrics too. As with any biocide avoid continuous use on plastics as they can become brittle over time. Will Clearway remove black mould? Clearway will treat green mould and remove it from the surface. Black mould will be treated by Clearway and be killed off but the stain can remain. This stain will have to be removed by scrubbing or bleaching. Once removed Clearway will help stop black moulds returning. Should I pressure wash my patio first? 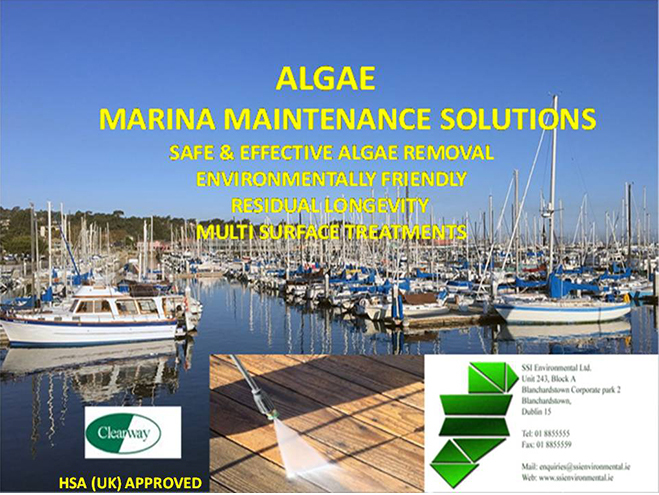 Clearway removes algae's and moulds but we recommend any surface dirt is removed first before application. Once a surface is clean applying Clearway helps prevent surfaces going green again and will make dirt easier to remove in the future.